Tallahassee, Fla.—Today, the Florida Department of Health announced $1.4 million in funding for Florida’s Healthy Babies, a collaborative statewide initiative to positively influence social determinants and reduce racial disparity in infant mortality. This project engages the department’s 67 local health offices and numerous partners within each county to address disparities with evidence-based interventions. 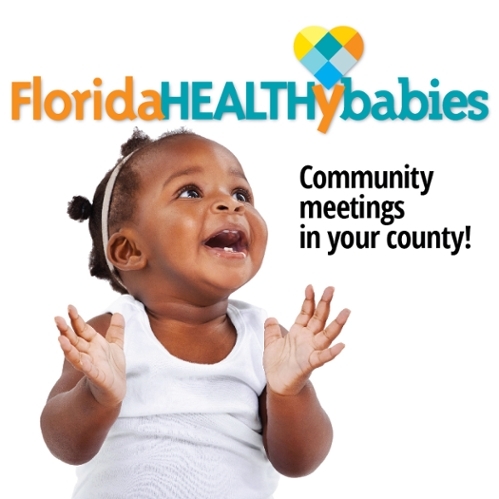 Florida’s Healthy Babies is an effort of the department’s Health Equity Program Council, which focuses on helping all Floridians achieve health equity, or the highest level of health. Though Florida has experienced declining morbidity and mortality rates, disparities persist and the department is committed to achieving health equity and eliminating these differences. The council is comprised of county health officers and leaders in the state health office and works to assist local efforts, monitor emerging research and determine how to expand best practices statewide. Baby Steps to Baby Friendly: 10 practices proven to enhance hospital maternity care to support and promote exclusive breastfeeding. Protective Factors: evidence-based curricula to enhance parental resilience, social connections, concrete support in times of need, knowledge of parenting and child development, and social and emotional competence of children that decreases the risk of child maltreatment. In total, 26 counties received funding to work with 45 hospitals statewide on Baby Steps to Baby Friendly and 29 counties received funding to work on protective factors.